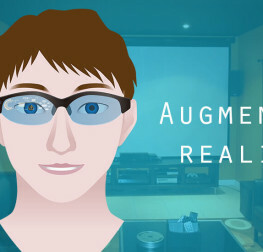 AR (Augmented Reality) and VR (Virtual Reality) tools can dramatically freak out baby boomers, as shown in the above video; however, utilized in proper dosage and with the right treatment, these tools can wow them as well as audiences in any age group and demography. There is a lot of confusion in a general reader’s mind about the technologies and it is not rare to see people using the two terms interchangeably – which of course is gross ignorance on their part. Contrary to general perception, AR doesn’t create new experiences; rather it builds on or augments what exists in the real world. This means certain virtual elements are fitted (integrated) over the real world (physical space) On the other hand, VR is what creates new worlds or experiences. The technologies have reached high levels of maturity and are increasingly being utilized by businesses across sectors. As can be seen in the above illustration, AR and VR is equally important for consumers as well as enterprises. Goldman Sachs predicts the industry to reach a value of $80 bn a year ($35 bn in software and $45 bn in hardware) by 2025. In line with the trends so far, Goldman Sachs believes that in future also video games, live events, and video entertainment will drive the consumer-focused segment of the technology. However, businesses can also innovate to leverage the technology for their benefit and it will not be a surprise if they beat the predictions. If you haven’t used it already, here’s a small description – just hold the camera in front of the text you want to translate and the App will do the rest (provided the script is recognized or part of the App’s database). Though it might not be too useful for someone trying to translate and understand reams of classical french literature, it may help tourists to get English translations for sign boards on streets and shops in foreign locations. The driving assistance App provides collision and lane departure warnings making use of phone sensors, GPS and camera. The App can also help you avoid speeding tickets as it can read ‘speed sign’ boards and create alerts every time you cross the speed limit. Visiting a new town; it’s the perfect guide you can get. The App will provide you information on local history, nearby cafeterias, markets and other special places of interest. The information pops up on your phone screen every time you are near to an important landmark. The App helps you virtually place furniture inside your home to see if it suits the ambiance and fits in the space. You can choose furniture from IKEA, Crate&Barrel, CB2, Horchow and Pier1. In an age when most of the news is read online, NYT has perhaps the best offering for its readers who can now view documentaries and other features via its VR App. New VR content is added every month; although, the VR headset is most recommended you don’t essentially need it to view the content. Adventure junkies across the world upload 360 degree GoPro videos in abundance on daily basis and you can catch all this action comfortably in your couch with GoPro VR App. There are numerous VR roller coaster rides and unarguably they make the best impression on a user experiencing VR for the first time. If you haven’t tried it yet, you may start with the VR version of Cedar Point’s Valravn roller coaster which is claimed to be the tallest, longest and fastest roller coaster in the world. Virtuali-Tee is a smart T-Shirt that integrates with the App installed on smartphone/tablet to let viewers see through the T-Shirt to view bones, organs and blood vessels. Designed by Curiscope, the AR App is targeted at students learning human anatomy. (formerly Verse) It’s a content aggregator with best of the world VR content from The New York Times, Vice, Saturday Night Live, U2 and others. If you love poetry, this App will take you back to 1916 and let you experience Siegfried Sassoon’s poem “The Kiss” in VR. US consumers have shown a positive sentiment towards AR and VR’s adoption by retailers. According to the survey, a significant number of US consumers expect the technology to enhance their online shopping experience. However, retailers want to use AR and VR for attracting customers to their Brick and Mortar Stores. 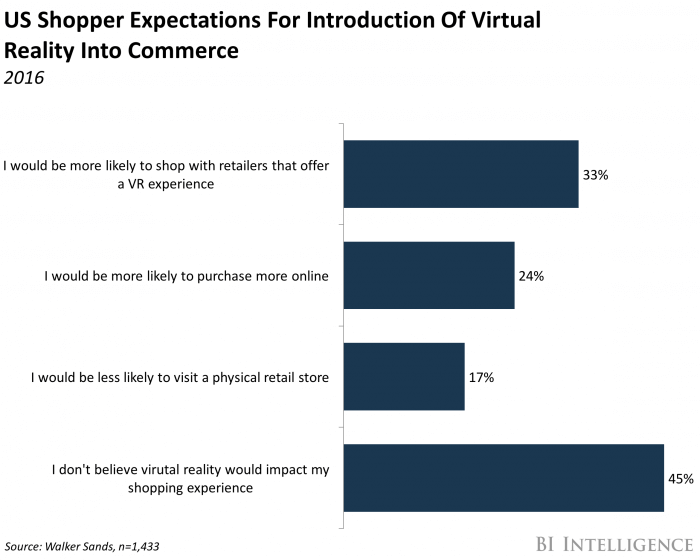 Perhaps, this mismatch in expectations offers an opportunity for omni-channel retailers to utilize AR and VR for improving customer experience on all fronts. The drugstore chain has been experimenting with the technology since 2014 as part of its loyalty program. During its trial run, Walgreen’s VR app provided customers a 3D map to locate products on shelves inside the store. With this App, Walgreen aimed to create an immersive gaming experience, providing customers points on visiting certain sections of their stores or build a bigger basket. You might or might not love this “futuristic snack”, but the company has been very active in utilizing mobile apps for its promotions. Dippin’ Dots has launched various fun apps which provide loyalty points to customers. Their AR App – “making it rain Dippin’ Dots” allows customers to experience Dippin’ Dots raining inside the stores and even inside their homes if they wish so. The company’s much talked about Holoroom – a VR App, allows customers to build kitchen or bathrooms in a virtual space and then allows them to experience their design ‘in real’ with Oculus Rift or Google Cardboard. You might not be able to walk inside your designs for now; but that is not a distant future, it seems. The company has perhaps the most ingenuitive VR app, as it is hard to imagine what an online ticket-seller could possibly provide in terms of VR experience to its customers. StubHub’s VR App helps customers choose seats for events by offering them a 3D rendering of the stadium/auditorium. With 3D immersive view, customers can better decide if they want to select a particular seat at the back with unobstructed bird’s eye view or pay more money for seats available at the front. However, StubHub is not alone; Rukkus has taken seat maps to another level with panoramic photos. The company made headlines in October 2015 with the launch of its VR app, allowing store visitors to view the company’s coveted Fame runway show with a Samsung GearVR headset. If you enjoy catwalks, you may want to opt for the virtual experience – front row seats are always available. The company has recently announced release of WayfairView – an AR App, which allows shoppers to select any furniture from its online store and then virtually place it inside their homes to see if it gels well or not. The app currently works with Lenovo PHAB2 Pro and allows customers to virtually move the furniture around, browse through various layouts and designs to finalize a product for purchase. Above are just some of the celebrated examples of how big retailers have utilized AR and VR apps for engaging their customers and providing them with new shopping experiences. 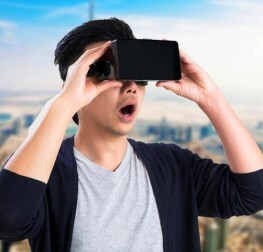 While designing a feature rich VR application with practical value for customers might not be possible for everyone; there are numerous examples of businesses utilizing AR in print ads. AR advertising makes presentation of catalogues easy for retailers. It provides businesses an opportunity to showcase their entire product range in 3D over a single page advertisement in any leading magazine. Further, small retailers and startups can create such ads with freemium versions of custom, white label app creation platforms bevond. Still, the apps haven’t achieved the ubiquitous status. 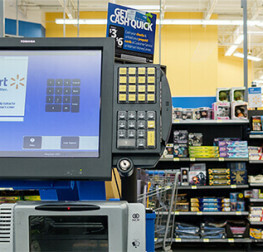 It is a challenge for businesses to ensure that the technology offers real value to their customers. There is no shortage of people who doubt any practical viability of such Apps. Also, overlaying anything virtual on a phone screen may appear gimmicky. Most of the present AR and VR solutions have a limited novelty value. It might be amazing for customers to receive promotions on phone screens when they point their phone camera to product shelves in a shop, but one should also realize that a mother shopping for grocery items, with her 2-year-old sitting in the trolley and a 7-year-old dragging her to the new toy’s section, would rather attend to her kids than fiddle with her phone. Holding tablets or smartphones in the air and scanning for offers might not be everyone’s cup of tea. However, the perception of AR and VR being a marketing gimmick is about to change very soon as long awaited Google Tango has finally arrived in the consumer space. With Tango (AR platform) being finally made available for customers, more retailers will be eager to join the bandwagon and reap benefits of virtual commerce. For those who are not aware – Project Tango was started by Google and has been on developers table since 2014. It is a technology which uses sensors and multiple cameras for motion tracking, depth perception, and area learning. With these abilities, the technology enables a smartphone (presently available only in Lenovo PHAB2 Pro) to track its location in a 3D indoor space. Moreover with this technology physical objects in a user’s surrounding (baseball bat, soccer ball etc) can be integrated into the simulation along with the actual user motion. This is unlike the present AR and VR tools where headsets are only able to project a stationary virtual space, with user body playing no part in the simulation. In terms of applications, Tango can allow retailers to overlay virtual 3D images of their products on their users’ surroundings. AR and VR tools are up for grabs and while marketers have been the early adopters, businesses realize that these tools can also play an important role in improving their operations. Customer response for AR and VR Apps has also been very positive; this is reflected in the number of downloads for Google Cardboard which crossed 50 million mark on Google Play in May 2016. 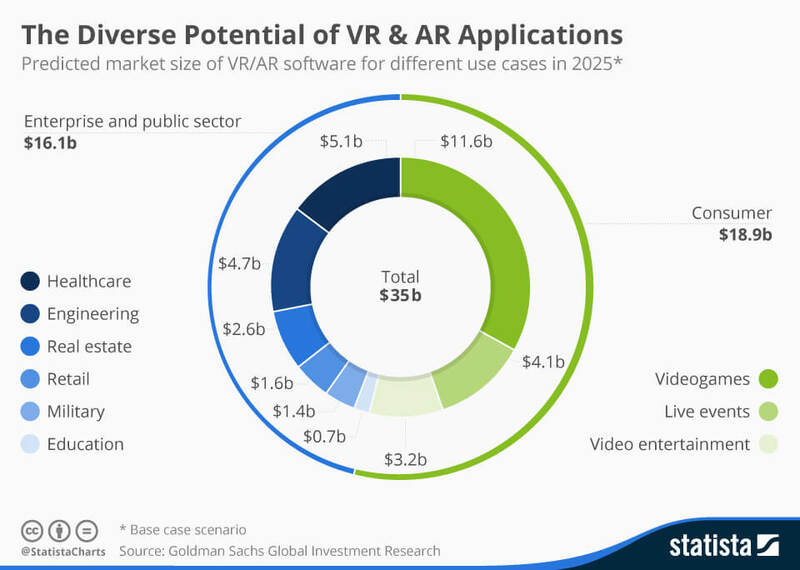 Moreover, according to Statista, the total number of active VR users is forecast to reach 171 million by 2018 and this opens a large space for retailers to make their presence felt. 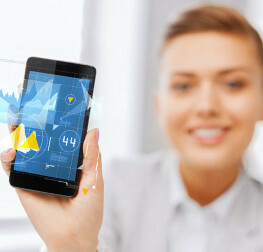 However, organizations must start early with a proper mobile strategy and make use of AR and VR solutions to create differentiation and gain first mover advantage in the hyper-competitive markets.